"Are there any special funds I can invest in?" They ask because expatriates are typically led to believe they must access a new world of wonderfully diverse investment opportunities now they live abroad, if they want to be successful. But, although investment diversification is an important part of building a balanced portfolio, over-diversifying - or worse still, diversifying into abstract and risky funds or sectors - isn't a good idea. Give you 3 top tips and 1 free guide to get you on the right track. When anyone asks whether there are any new ideas, interesting investments or special instruments to invest in as an expat, alarm bells start ringing at AES HQ! And, when done properly, successful investing is actually inherently dull for the investor! Staying the course for the long-term...not flitting from one headline grabbing investment (like bitcoin!) to another. And yes, it's true, investment diversification is one of the main keys to building a robust and successful portfolio. But that doesn't mean diversifying into complex strategies, emerging markets, cryptocurrencies and fine wines! And, it includes a requirement to rebalance occasionally, and review periodically. We're known for being a forward-thinking firm, and are strong believers in exploring new investment ideas. Our company is also full of bright individuals with inquisitive minds, open to new ideas and research. However, we are also firm believers in not taking unnecessary risks, and always following the evidence (rather than the headlines). We know that your wealth represents your sacrifices and hard work, your hopes for the future, and your potential for lasting peace of mind. And just as we don't take risks with our own families' finances, so we don't take risks with our clients' money. And, we go a step further, and caution any international executive investor against taking unnecessary risks with their wealth. 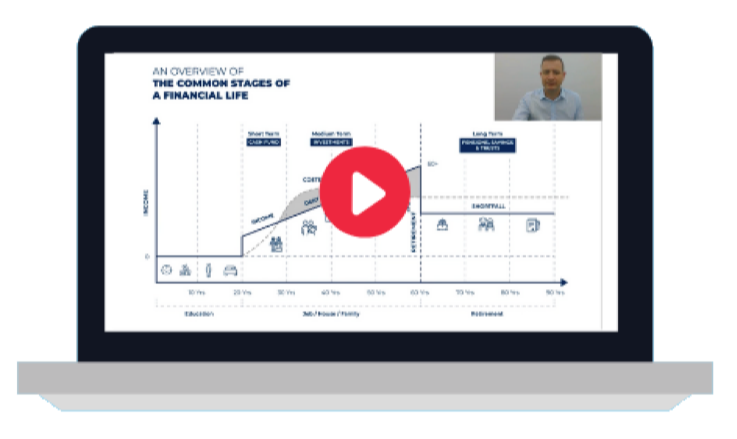 There are often real and significant risks associated with that new, exciting investment idea or structured savings strategy that's being actively promoted by an expat financial salesperson. I know some investors believe that by purchasing but-to-let property, investing in structured products, direct trading or buying esoteric, specialised funds they will achieve proper diversification away from mainstream (read: dull) investments - and they'll get rich quicker. But it's not necessarily true. Remember, investment done properly is as dull as watching paint dry and grass grow. In the same way you can't out-train a bad diet, (so my wife keeps telling me), so you can't out-trade a badly diversified portfolio. No matter how many times you chop and change or sell and buy, you'll be incurring fees, potentially facing excessive risk, attempting the impossible (i.e., timing and guessing the market) and ultimately undermining your financial future. When you hear about the next big thing, especially in Expat-land where you and I live, in many cases you should file these so-called opportunities into the ‘too good to be true’ category and walk away. Chances are, you'll just be buying into a new kind of risk, like fraud, or hidden fees, or fund manager failure. And the sad truth is, all too often the more diverse or complex an investment, the more likely it is to fail you. So, what does a well-diversified portfolio look like? Diversification is about understanding the risks within an investment and, across a portfolio, balancing those risks and ensuring that particular risk is not repeated too frequently. For example, an investment in an Asian equity fund is likely to give you exposure to China. To then buy two further Chinese equity funds would mean your exposure to Chinese equities is too high! As ever, investing is about having your eyes open, having a plan and not being swayed by short term market movements or “get-rich-quick” investment schemes. Choose index funds: investing in funds that track different indexes is a brilliant, long-term diversification and investment strategy for financial success. Think eggs and baskets: and don't put all your wealth in one stock, sector, country or currency. Fixate on fees: the more you pay in fees, the less you get to invest for your future. Cut unnecessary charges down to size. If you want to learn about building a well-balanced, properly diversified portfolio as an expat investor, download our FREE guide to building a portfolio.